This is a running and driving project. 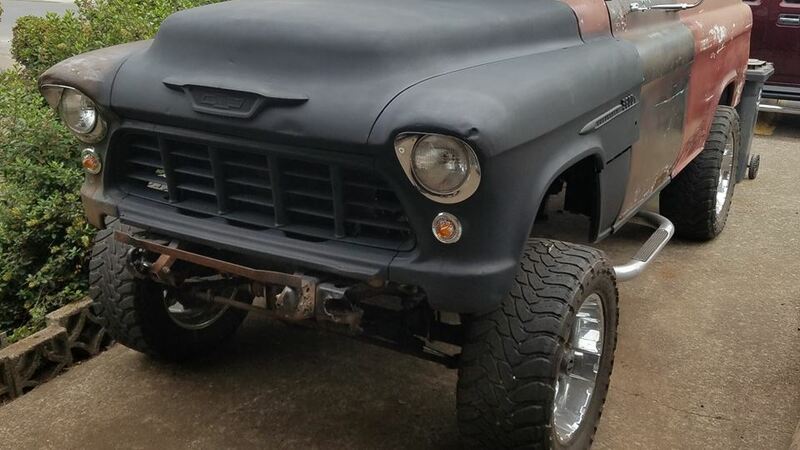 1959 GMC Panel 4x4 with 1955 Chevy front end sitting on top of 1983 Chevy 3/4 ton frame and running gear. 1977 Camaro 350 4 bolt main with 1967 Corvette camel hump fuelie heads with about 1 hour run time on it. 1976 Buick TH400 mated to a 1983 NP 205 transfer case.